"...we also should walk in newness of life. " 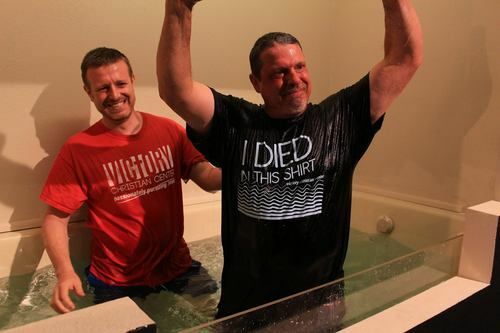 We believe that every person that commits their life to our Lord and Savior Jesus Christ , should be baptized out of obedience (Matt 28:18-20 ), and to publicly identify ourselves with Jesus Christ and His Church. Baptizing should be preferably immediately after conversion (Acts 2:38,-41 ), but it can be done anytime after salvation (Acts 10:44-48 ). The bottom line is: baptism DOES NOT save us, rather is shows, "righteousness from God, apart from law, has been made known, to which the Law and the Prophets testify. This righteousness from God comes through faith in Jesus Christ to all who believe. " (Romans 3:20 ). Water Baptism by full immersion is an outward expression of what Jesus Christ accomplished for us. Baptism is a beautiful act that symbolizes our Lord's death, burial and resurrection. 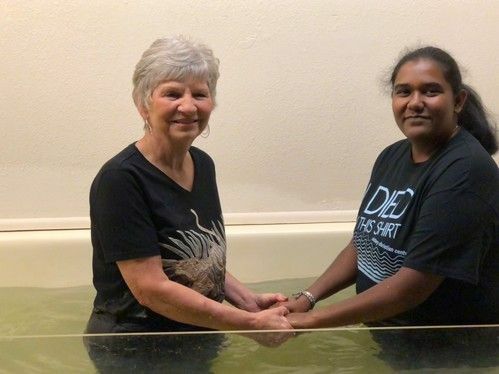 Individuals desiring to be water baptized are required to attend a pre-service 9:30am baptism class the day of their baptism with one of our Pastors or Elders. This simple and straight forward class helps prepare each believer for their water baptism.